Simba's ODBC Driver for Microsoft HealthVault is an easy to install ODBC driver for your PC. It allows you to access your HealthVault data using popular desktop applications like Microsoft Excel® and Access®. Microsoft HealthVault is a privacy and security-enhanced data storage and sharing platform that helps consumers enable an easy, ongoing exchange of data among different health applications and devices in a centralized location. There is an entire ecosystem of smart health devices and software applications that interface with and enable central information storage on HealthVault. Simba Technologies has developed a custom ODBC driver that connects a multitude of familiar applications, including Microsoft Excel and Access, to HealthVault. Using Simba’s innovative ODBC driver, users gain a convenient way to access, view and use data uploaded into a HealthVault account from various health and fitness devices. Simba’s ODBC Driver for Microsoft HealthVault demonstrates the features and flexibility of Simba’s data connectivity solutions. Try it for free and experience how easy and seamless it is to use a wide range of standards-based reporting and analysis tools to access your data. Simba’s ODBC Driver for Microsoft HealthVault provides users with a choice in which application they choose to review and track their health data. Users can upload data into HealthVault from a wide variety of smart health devices, including heart rate monitors, pedometers, glucose meters and asthma inhalers, and then pull the data into applications to graph and review it. For example, a user can test their blood sugar levels with a glucose meter, sync the data to HealthVault and then use an application such as Excel to graph it and look for patterns. Similarly, with patient permission, a doctor can use an application to review and chart a patient’s data. Simba’s ODBC Driver for Microsoft HealthVault makes HealthVault data look as if it is stored locally in Microsoft Access or SQL Server. You can see the organization of your data as tables and columns, as if you were looking at a Microsoft Access database schema. With reporting and analysis tools like Microsoft Excel and Access, you can connect to HealthVault through the driver and create queries to retrieve your health information for further review. The Simba ODBC Driver for Microsoft HealthVault is a simple driver that expands the possibilities of HealthVault. It can be enhanced and extended to add greater functionality. Similarly, Simba can help you build a custom solution specific to your needs. Simba’s ODBC Driver for Microsoft HealthVault leverages Simba’s expertise in building connectivity solutions. The driver is based upon Simba’s proven ODBC data connectivity technology. We have helped thousands of businesses unlock their data. If you need help building a driver for your device, or assistance with a data connectivity or software development project, we can help. Contact us to learn more. Download and install the Simba ODBC Driver for Microsoft HealthVault for free. 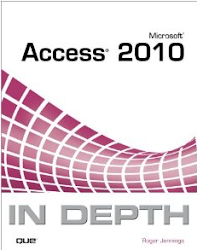 Try for yourself the convenience of reviewing non-standard database data using standard tools like Microsoft Excel. Installation is easy, and the installer will help you register with HealthVault if you don’t already have an account.